When you have a baby your whole life changes, so it’s not surprising you are likely to experience a wide range of emotions after the birth. As well as the initial joy you feel when your little one comes into the world, fear and sadness are also common emotions that many new parents experience. The problem comes when these emotions start to have a major impact on your life. Postpartum (sometimes called postnatal) depression is something that isn’t often talked about, yet it’s surprisingly common. It is said to affect over 1 in 8 women and can occur anytime in the first year after the birth. What’s more surprising is that it can also affect men, though this is pretty rare. Suffering from postpartum depression is terrifying for new mothers. Having a baby is supposed to be one of the best times of your life, so if you start feeling depressed, it can be extremely confusing. Many sufferers of postpartum depression feel like they must be terrible parents for feeling the way that they do. As the condition isn’t something women like to talk about or admit to, it often goes undiagnosed. If you’re concerned you may be suffering with postpartum depression, it’s important to seek advice from a doctor as soon as possible. Below you’ll discover everything you need to know about the condition and the types of help available. Postpartum depression is a type of depression that occurs after giving birth. It can develop gradually over time, or can present itself immediately after the baby is born. A lot of the time it’s simply explained away as what is commonly referred to as “the baby blues”. This is something all new mother’s experience and includes symptoms such as mood swings and anxiety. However, the difference between postpartum depression and the baby blues, is it lasts a lot longer. The baby blues typically last up to two weeks after giving birth. So if your symptoms haven’t gone away after a couple of weeks, it’s most likely you are suffering with postpartum depression. All of the above can contribute towards postpartum depression. However, it is important to realise that everybody is different. What triggers postpartum depression in one person, may have no effect on another. Whatever the cause, seeking treatment is extremely important. It isn’t something that will simply go away on its own. Like any illness, postpartum depression requires treatment before it goes away. The severity of the symptoms will vary and some can be difficult to associate with postpartum depression such as lack of energy. As a new mother, a lack of energy and trouble sleeping at night is something that naturally occurs. So you’ll need to look out for the other symptoms too in order to determine whether it is likely to be postpartum depression. If you experienced a fairly traumatic birth, there is the chance the symptoms you are now experiencing relate to post traumatic stress disorder, rather than postpartum depression. The two conditions do have similar signs and symptoms, but they are different. With post traumatic stress disorder, you’ll likely also experience symptoms such as flashbacks to the birth and increased anxiety. It is usually diagnosed after four weeks if the symptoms haven’t disappeared. Just like postpartum depression, if left untreated it can prove very difficult to live with and will affect all aspects of your life. Treatment will very much depend upon the severity of the depression. First and foremost, you need to get a professional diagnosis. Even if the symptoms you are feeling were not listed above, you know your own body and mind so if you think something is wrong, it is worth having it checked out. Most commonly, the condition is treated with a mixture of self-help techniques and psychological therapy. Cognitive behavioural therapy has proven very successful in the treatment of postpartum depression. If that alone doesn’t help, or if the depression is severe, antidepressants may be prescribed. In terms of self-help techniques, healthy eating is encouraged, exercising regularly and getting as much rest as possible will help. Of course, you can’t do this without support. One of the most important pieces of advice you will be given is to accept support from friends, family and professionals. This makes a tremendous amount of difference to your recovery. There are even online support groups you can sign up to. Many new moms find it hard to talk about how they feel to the people close to them. Therefore, forums and support groups can prove invaluable, providing a place for them to feel safe opening up about their feelings. If you’re interested in joining a postpartum depression support group, PANDA is an excellent place to start. Not only do they have a fantastic list of local support groups, but they also have a lot of in-depth information regarding the condition. And despite being based in Australia, it can still be helpful for those living elsewhere as well. Overall postpartum depression is a lot more common than you might think and there’s no shame in admitting you are suffering. There is a lot of support out there and compared to a decade ago, there is a lot more understanding and a lot less stigma involved. Never be afraid to seek the help that you need. The mind and body works in tandem. If one does not eat properly it is sure to affect the mind and in the post delivery scenario with other factors making their presence the mind is bound to get affected if one does not eat well. Your bringing out this fact will help those who read your blog. Back home there was some concoction though tasty used to be prepared specially for the mother. It had all the rich ingredients such as almonds and stuff. It’s true – the mind and body work together that is why if we think negatively, our body suffers; if we think positive, our body is more energized. This is why mothers are advised to think of positive thoughts to avoid postpartum depression. The constant companionship of friends and family would also help a lot in preventing it. Postpartum depression is a common affection for women that give birth lately. I have seen wives of my friends affected, not worse but it had a few of the symptoms you mentioned there. I guess is very important as us men to do our job and take care of the baby and the mother, to support, show love and take some of her responsibilities for a while! That is true, wallet. Helping your partner care for the baby and doing some of the household chores would be very much appreciated. Sometimes, mommy duties and housework become too overwhelming when the woman does all of it, and seeing no relief, she may start to feel sorry for herself and depression could come in. I suffered this depression when I gave birth to my first child, thirteen years ago. I felt unhappy and very stressed since my husband was working overseas. That was very challenging for me. I can say I got out from it through self-taught ways. I realized I needed to talk to my family first and openly they helped a lot. I believe there are so many factors that cause postpartum depression. It is better to seek professional help if you think it is not getting better, before it gets worst. Seeking professional help early on when things are not improving is a wise decision. Postpartum depression is not something that should be taken for granted and thought of as something that will pass or get solved on its own. If ignored, the consequences may be severe. I have not had a child with my fiance at the moment since we are not yet ready for that. reading about the postpartum depression is a great way to understand that such is in existence and it will provide us with ways that we can survive such cases whenever we want to take our relationship further. 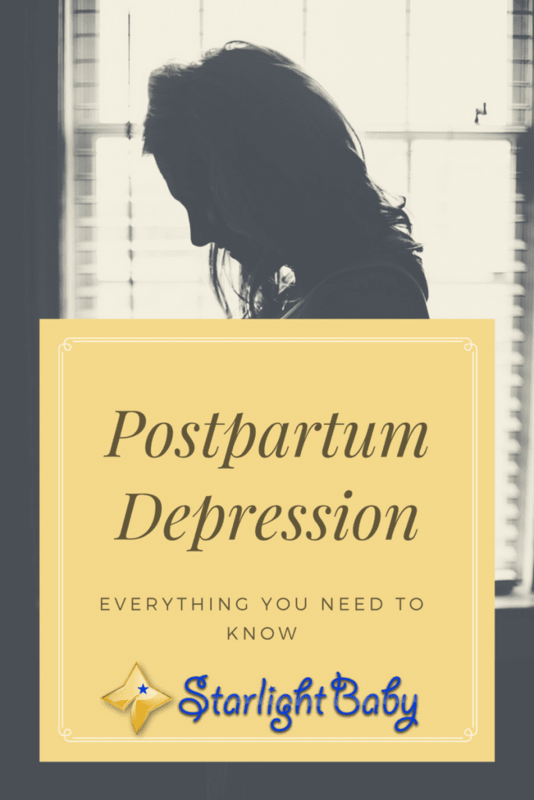 Postpartum depression is very common to those who suffered difficulty in labor, not prepared getting pregnant, financially not ready as well as mindset. These could be avoided and prevented by proper education, trianing and supervision. Nowadays, everything we need to know or curious about can find or search on internet. Partners should be responsible of this because both of them are possible for depression. It’s better to tell how you feel so further observation or consultation to professional will be done. That’s correct, sweetpot81. It’s now easy to educate and prepare oneself about PPD because of the internet. And you’re right – talking about the problem or telling your partner, family and friends about what you’re going through would largely help avoid PPD. After my wife lost her first pregnancy, she developed anxiety. I was very worried about my wife when she was running in the 38th week. I thought she would surely develop postpartum depression. Thankfully this did not happen. In fact, after the baby boy was born, she was able to get away from anxiety attacks.